Although they’re also subject to current trends, jewelry fads tend to change slower than clothing crazes. Whether you look for affordable or ornamental jewelry, they offer a perfect way for you to be chic without revamping your entire wardrobe. But in case you don’t know which jewelries to get started, below are jewelry picks that are currently making waves this summer. Oversized bold gold chains are currently making a comeback this 2019, as noted by Karat jewelers. They’re popping up everywhere in the high fashion industry, with the fad especially focusing on necklaces. According to Shannon Schafer, a senior fashion director at Nordstrom, bold gold is a must-have this year. It offers a terrific accessory to complete an outfit and gives a nostalgic nod to the ‘80s retro fashion. Layered necklaces are also making a return this summer, with the trend quickly flourishing in the jewelry and fashion industries. From multi-layered gold chains to chunky, retro pendants, layering your necklaces has become as much an art as it is a fashion fad. Today, many of the world’s favorite “It girls” and influential bloggers have quickly mastered the art. They have begun influencing others to follow suit. Jewelry and accessories that represent religious symbols have been growing in appeal as well, with the most popular ones deriving their design from Eastern spiritual practices. Take Noor Fares’ Chakra collection for example. These ornaments are heavily touted in Hinduism and various new-age spiritual practices. They’re also designed in a way that allows wearers to tap into their body’s energy centers. Jewelry inspired by spiritualism will continue to make waves this year, especially with various religious concepts and practices becoming commonplace in western countries. Although not as talked about as other jewelry and fashion trends, wearing mismatched earrings is nevertheless making headlines as a fad this summer. Famous designers like Chanel, Christian Dior, Balenciaga, Louis Vuitton, and Rodarte have even embraced the trend, going so far as to showcase nonidentical earrings on the runway on several occasions. Still, there is a way to wear mismatched earrings properly. The trick is to make it look like you’ve done it on purpose. To do this, you can either pair earrings that have contrasting colors or pick totally different ones that have similar shapes. Last, but definitely not least, are shells and beads. Shells and beads make excellent summer jewelry. Contrary to what many believe, you can still look good wearing them even if you’re not on the beach. In fact, a lot of people are wearing shell and bead necklaces, bracelets, and earrings regularly, showing them off as part of their 9-to-5 uniform. Fashion changes every season. With the pressure to continuously turn out a fresh new look for whatever event you’re going, it can sometimes be exhausting to keep up with the latest trends. 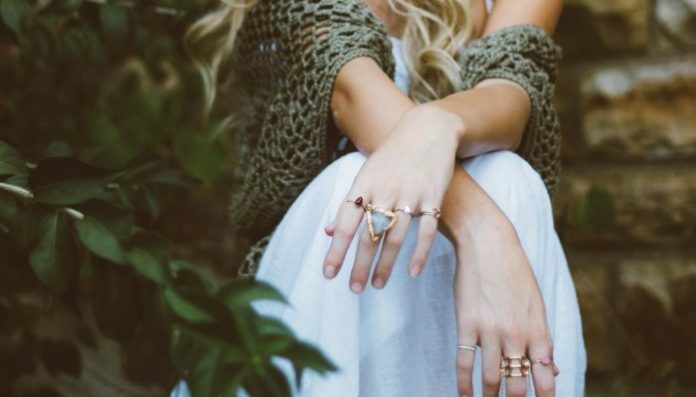 By wearing pieces of jewelry that follow this summer’s direction, though, you’ll not only be able to keep up with what’s new, but you’ll also be able to thrive fashion-wise.